Was GM CEO Dan Akerson For Keeping Opel, Or For Getting Rid Of It? The topic of Opel, and its relevance, purpose, and future within General Motors, has been one of hot debate and discourse. Some, including yours truly, have called for the unprofitable brand/operating unit to be unloaded, while others have stood steadfast and insisted that GM keep the German brand. No matter your opinion about what The General should do with Opel, one thing is clear: GM had the chance to rid itself of the unit during its bankruptcy proceedings… but didn’t. GM could have sold Opel to a partnership between the German government, Canadian automotive supplier firm Magna, and Russian bank Sberbank… the move would have put an end to the huge Opel losses, but was widely seen as a temporary shelter for the brand until disappearing shortly thereafter (ala Saab-Spyker). But at the last minute, The General changed its mind — only to lose nearly $2 billion in Europe in 2012. So, who at GM made the pivotal decision? Here’s where things get a little hairy. And while Akerson’s view doesn’t really explain how Ford has been seeing some growth (albeit unprofitably) in Europe, or how VW has been propagating its German-centric dominance all over the region. But that’s not the point. Of course, the stories are polar opposites: in 2011, the entire (newly-elected) board wanted to keep Opel but Akerson and one more guy didn’t… in 2012, Akerson and Girsky were all for keeping the unit. Neither Reuters nor the NYT were contacted by GM to correct their stories, and both authors are highly-respected in the automotive journalism realm. But as TTAC points out, only one thing had changed between both stories: when the board elected to retain Opel, Akerson was a mere member of the board; then he became CEO in late 2010 (ahead of GM’s IPO dog and pony show), and he may have looked better if he’s firmly behind Opel. Or something to that effect. What do you make of all this bedlam? Let’s mull this over in the comments. So, who does have the inside dope? And how important is this question, except for historians? The GM losses in GM Europe are never detailed. Yet they are interpreted by the media as if they were coming from the Opel brand alone. There is never a clear engineering balance sheet showing how much Opel engineering contributes to all GM cars and vice-versa and how this affects costs. In short: I’d like to see accurately how much of the GM profits are in Europe sales alone from Chevrolet, Buick and Cadillac cars and how the compare to Opel. I know the Buick China and North America must pay a small fee back to Opel for use of their cars, but the sum total is spit in a bucket compared to the profits enjoyed by GM in these other lower tax regions. Opel contributes much to GM: Corsa in Latin America, various models sold as Chevy in China, the Epsilon 2 and Delta 2 platforms. In total, GM can not be loosing money on Opel if you fully count global sales of the brand’s designs. This is more of an accounting issue, how GM chooses to break up their balance sheets. As an example, if GM were to merge Opel and Buick as a global division and send fees back to Germany as opposed to Marland for Chevy’s platform use, the marque would be well in the black. I agree that Western Europe, aside from the UK, is all about national champ brands, but Opel’s cars and platforms have played a HUGE part in the current turn around. Opel needs to be massively downsized with most of their product sold globally as Buick. This means war with the unions as well as the German gov but can, in time, be accomplished. It would be destructive for GM to sell Opel to a rival. I can just see FIAT using Opel-based designs for Chrysler. As far as I can see, GM has ended the badge-engineering between Opel and Chevrolet: no more a common Meriva shared by Opel/Vauxhall and GM do Brasil (branded as Chevrolet), no more Opel/Vauxhall Corsa as Holden Barina. I do not well understand your “Opel needs to be massively downsized with most of their product sold globally as Buick.” Actually, Buick is limited to China and North America, while Opel is succesively introduced in other markets, most notably in Australia side by side with Holden which is the local badge-engineering partner with the global Chevrolet brand. Also note that GM limited the Vauxhall brand to the UK, eliminating the brand from all former British colonies (some Wikipedia author notes with Chagrin the 26-county Irish Republic, Malta and Cyprus, the former naval bases of the British Empire in the Mediterranean. I add as more important South Africa, where GMSA is caring attentively for both (or all three) of their brands, Chevrolet and Opel. A common direction which is not visible for Australia. As to downsizing … well before that, GM should consider to build the Opel/Vauxhall vehicles in their European factories, most notably the apparently very successful Mokka, which is, despite 80’000 orders, imported from Korea. On the other hand, the Buick twin of the Mokka, the Encore, is built in China for the Chinese market, and not imported from Korea as is the Opel Antara sold in China (in small numbers). Directors of most organizations receive highly sanitized reports that fail to show the complexity involved in operating meetings of executives. Akerson was on the outside when he voted down the retention of Opel. Once he got the keys to the corner office, he also got a more enlightening education and realized the intricate role Opel plays within GM. 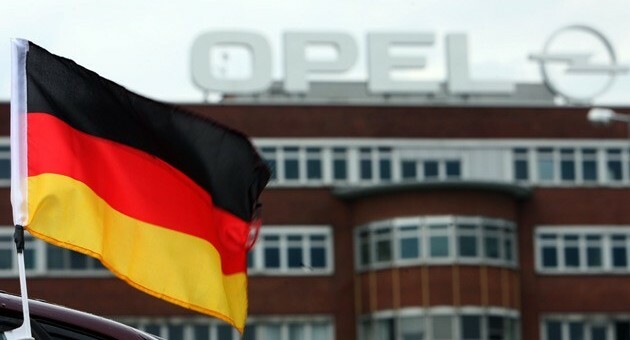 To most Germans, Opel is a German company whereas Chevrolet is a recent foreign entry. Germans take pride in their own products and as such Chevrolet cannot duplicate the heritage that Opel enjoys. Sure other Korean and Japanese makes have made gains but they soon hit a glass ceiling through which domestic brands can penetrate as they return to health. It is sheer madness for GM to walk away from the European market. This is a long term strategic solution that will require a lot of short term pain. Maybe what is needed from GM is the Marchionne passion to rebuff these rumours in the same way he tells VW what to do with their interest in Alfa-Romeo.